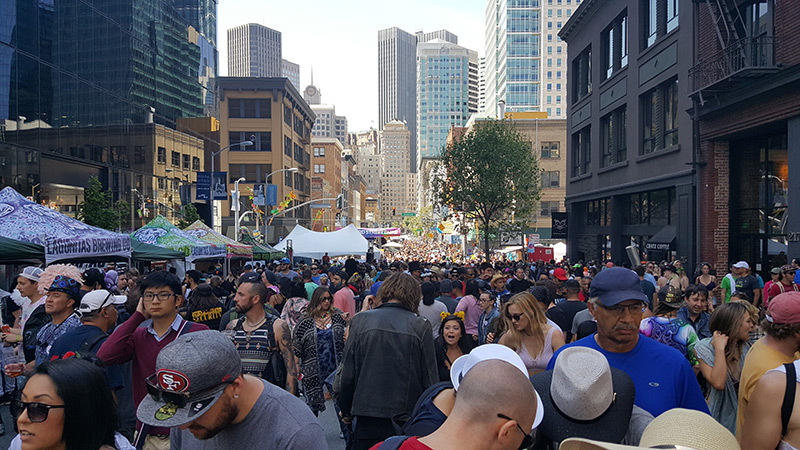 The How Weird Street Faire brings together the Bay Area’s dance music community for a day of celebration in the heart of San Francisco’s new downtown. Celebrating its 20th Anniversary in 2019, the Faire will again present a dynamic community mix of music, art, dancing, dining, shopping – and weirdness, attracting thousands from the region and around the world. 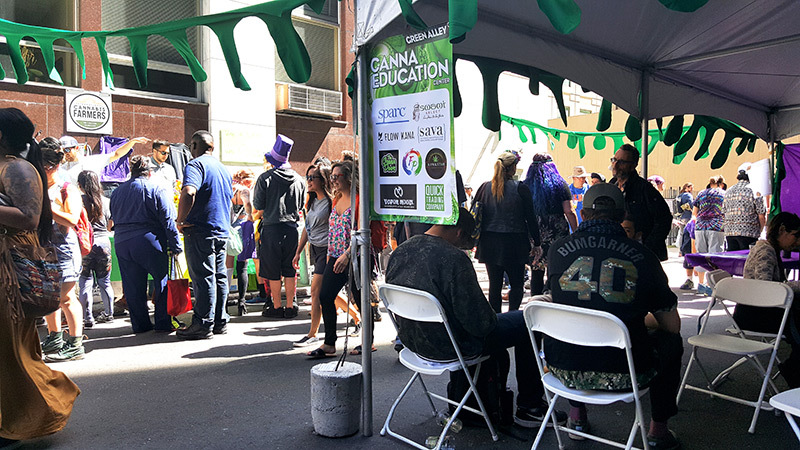 The How Weird Street Faire is a project of the 501(c)3 educational non-profit World Peace Through Technology Organization. The mission of the Faire and the non-profit is to inspire a culture of peace through music, art, social innovation, media, and the benevolent uses of technology. 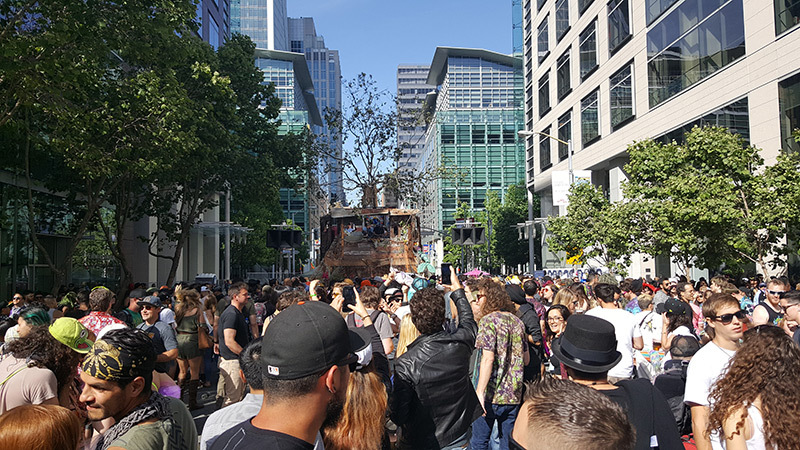 The How Weird Street Faire has become a world-renowned music festival with 25,000 attendees enjoying 10 stages (and styles) of dance music along with a menagerie of attractions. 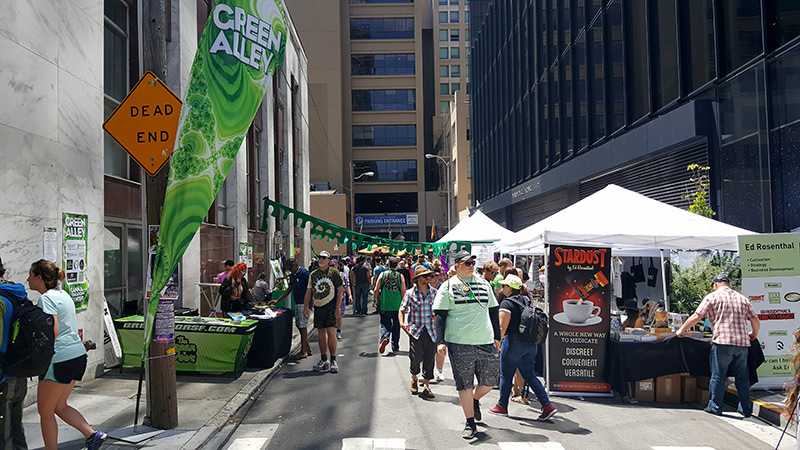 Art Alley showcases local creative expression, the Gourmet Zone offers wholesome and delicious food, Green Alley presents the latest in cannabis products and educational resources, and the How Weird Marketplace features unique vendors and a range of refreshments. Street performers and special exhibits add delightful surprises to the lively multimedia landscape. The Faire attracts large numbers from the region’s technology, culture, and art sectors. 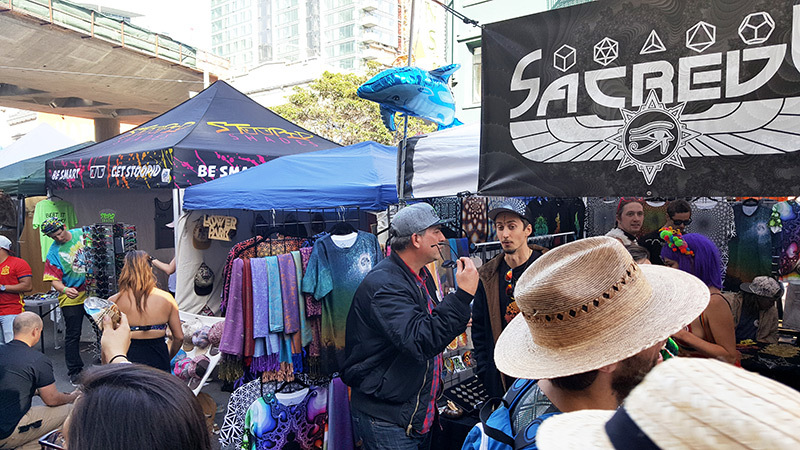 Located at the epicenter of the city’s technology and art industries, the event is widely seen as one of the San Francisco’s most creative public festivals and for many attendees represents the kick-off of the outdoor festival season.